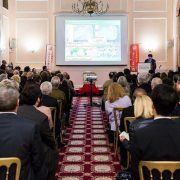 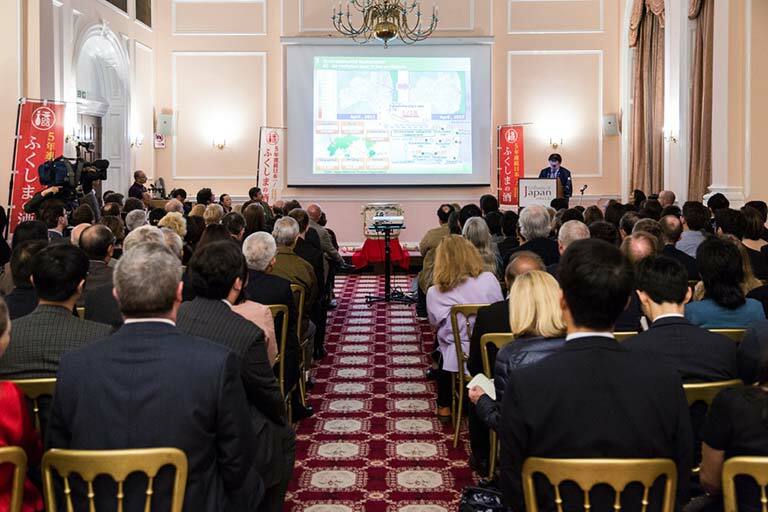 On the next day of the Parliament reception, the Fukushima Sake lecture and tasting took place at the Embassy of Japan, inviting a wider audience of trade, media and sake lovers. 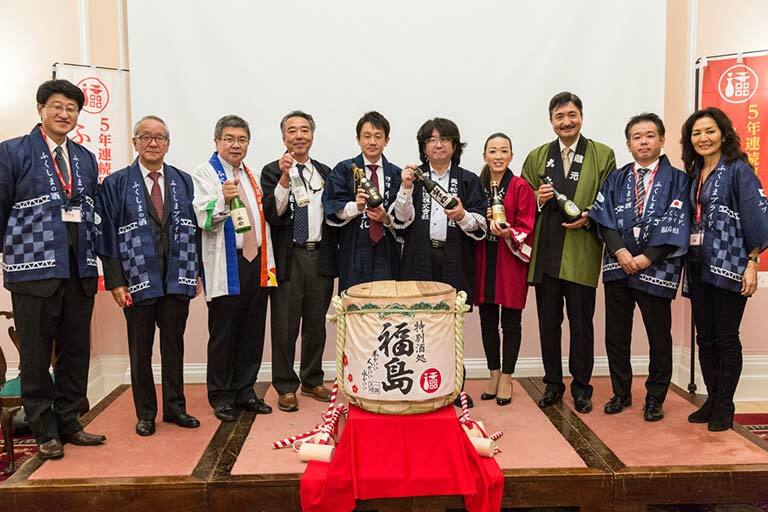 This was the first official Fukushima sake tasting hosted by the Embassy of Japan and Fukushima prefecture, and timely marked Fukushima’s achievement of No 1 sake region at the Japan Sake Competition for the 5th year running. 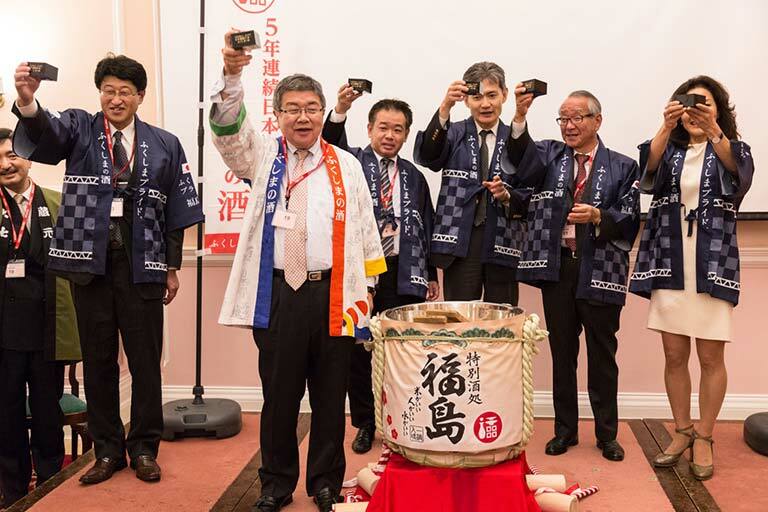 Over 150 guests gathered to congratulate the prize-winning sake makers and sip their iconic brands. 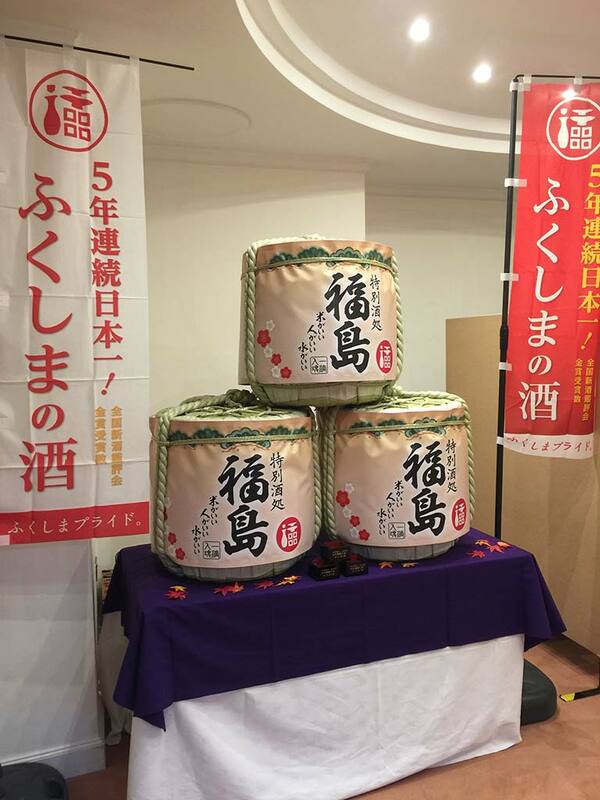 It was not only quality of sake that was appreciated on the evening, but also the tireless efforts and unimaginable patience of the Fukushima people who overcame the hardships after the Tohoku disaster in 2011. 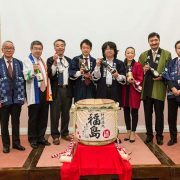 The reconstruction of Fukushima was also reported in a special lecture and we were saddened to learn that the region is still suffering from the harmful rumours outside Japan, especially making it difficult for the export of agricultural products as well as sake. 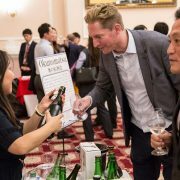 Meanwhile, the interest in sake is on the rise in London. 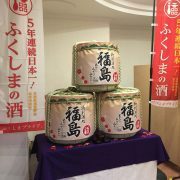 In search of quality sake, many participants took a note of their favourite ones. 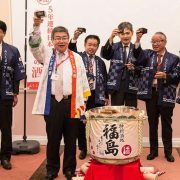 Some sommeliers and alcohol dealers commented on the diversity of the flavour of Fukushima sake from dry, crisp to full-bodied and umami-rich, how well they could accompany meat dishes, and why they should be stocked by those restaurants and wholesalers. 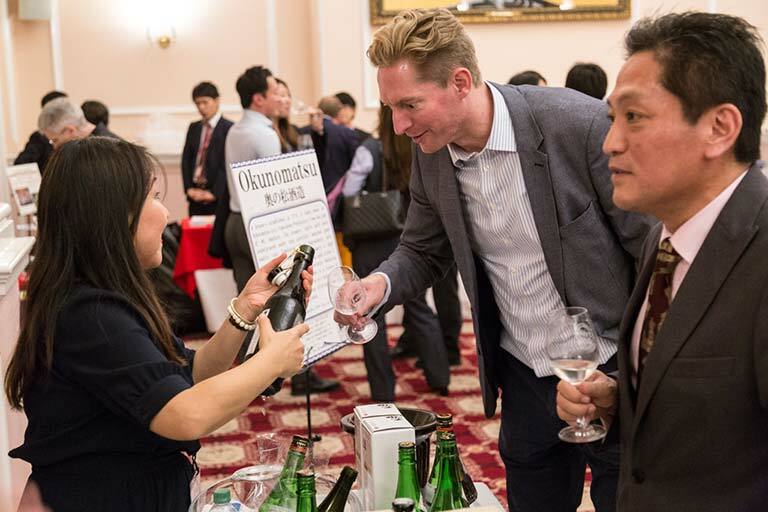 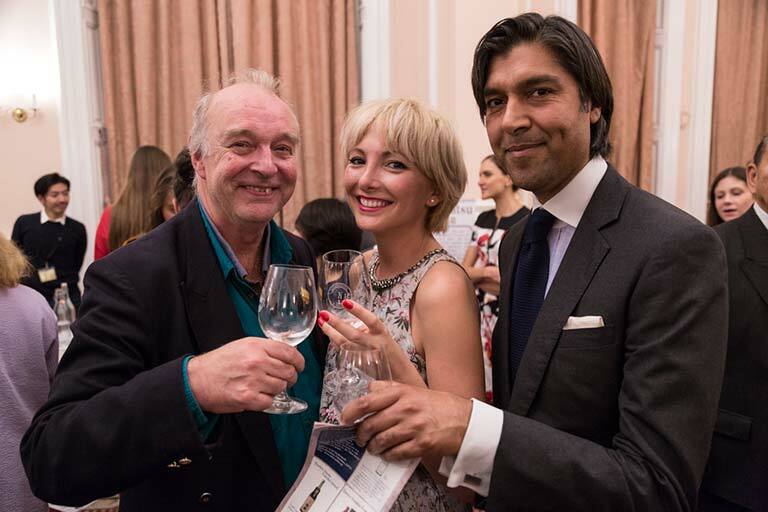 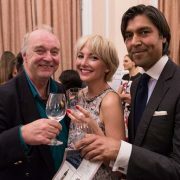 Simultaneously, a Fukushima Night was also extended at two Japanese restaurants in London – Tokimeite and Yashin Ocean House, to offer restaurant goers an opportunity to sample award winning bottles.